2015 was the first full-year a “Plus”-size iPhone was available. 2018 saw the larger iPhone X.
Ming-Chi Kuo, who has a long history of being generally correct about Apple’s plans, predicted that the 6.1-inch LCD iPhone in Apple’s 2018 lineup will cost between $600 and $700. 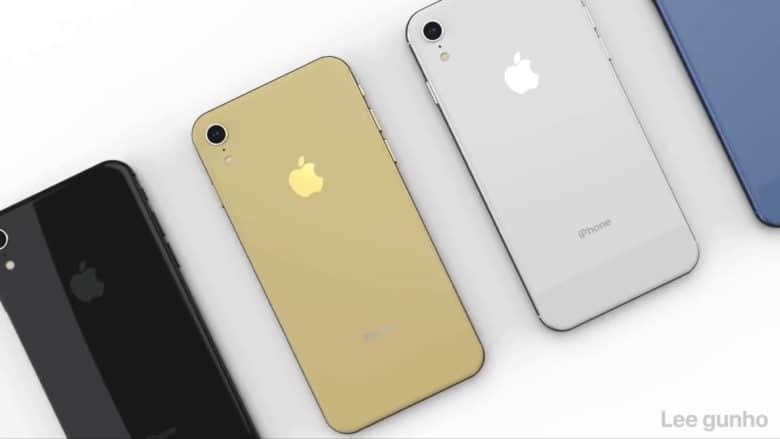 However, the KeyBanc analysts just told investors “We expect the new LCD iPhone to price at a premium to the blended ASP for the iPhone 8/8+.” Translating from analyst jargon, they’re predicting that the iPhone 9 will cost more than the average selling price of the iPhone 8 and 8 Plus combined. As these are $699 and $799 respectively, the prediction is that the iPhone 9 will be at least $750 and probably more. An $1,100 iPhone XS Plus? That’s also not Kuo’s prediction; he says Apple has worked hard to lower its 2018 prices, so the larger iPhone XS Plus will come at the same cost $999 cost as the iPhone X, or possibly below that. KeyBanc seems to be indicating it sees the iPhone 9 costing about $800, the iPhone XS costing $1000, and the iPhone XS Plus costing $1,100. That’s the price points they’d have to hit in order to sell at a premium over the 2017 models, anyway. 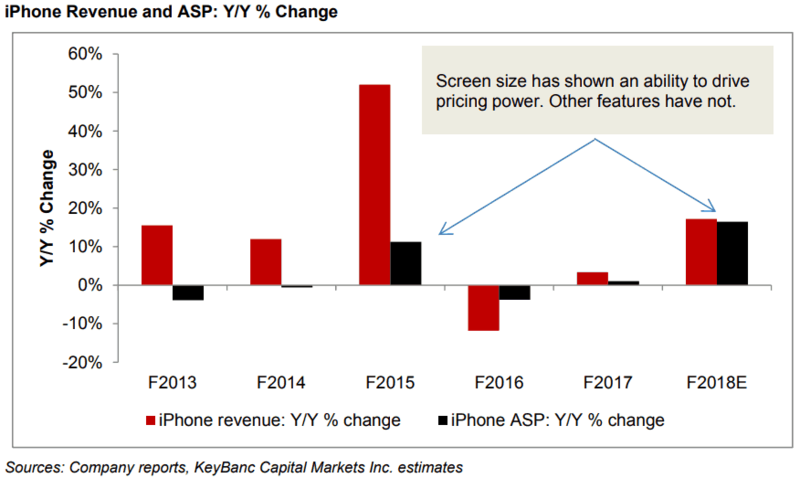 As the KeyBanc Capital Markets analysts pointed out, for several years now, every significant improvement in iPhone revenue has come from increasing the size of the display. That doesn’t bode well for 2019 and beyond. Although the analysts from KeyBanc don’t see it, one possibility is a folding iPhone. This would enable a screen larger than the 6.5-inch OLED in the rumored iPhone XS to fit in a pocketable device. There have been predictions Apple could release a foldable phone in 2020 or possibly 2021.